Minimum quantity for "Bio Living Natural Multi Purpose Spray 500ml" is 0.00. Minimum quantity for "Bio Living Organic Dish Wash Liquid - Citrus Blend 500ml" is 1.00. Minimum quantity for "Bio Living Organic Laundry Liquid - Lavender 1 Litre" is 1.00. Minimum quantity for "Bio Living Organic Natural Window Cleaner Spray 500ml" is 1.00. 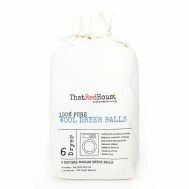 Minimum quantity for "That Red House Wool Balls (pack of 6)" is 1.00.